USAG Men's (4-10/Open), Women's (2-10) Xcel (Bronze-Diamond) Competition. Over 1,000 athletes. 78,000 sqr feet of competition space. The Greater New York Invitational is an annual men's and women's gymnastics meet hosted by the US Gymnastics Development Center's Parent Association. The event is held at Rockland Community College in Suffern, NY. 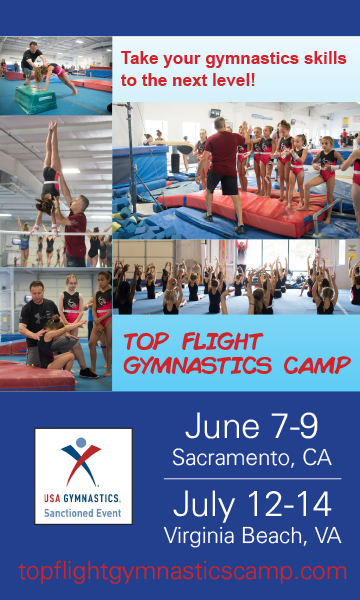 Over the 16 years since its inception, it has grown to host approximately 1,000 gymnasts from over 40 gyms and has attracted top talent from around the country.The meet is open to USAG women (levels 2-10 and Xcel ) and USAG men (levels 4-10/Open). Cash prizes for top level 9 10 teams and coaches and special registration incentives.